My favorite addition comes in the form of the new Strategies and Schemes available. The base game had a small collection of these to keep the games varied, but now there are tons of new ways to play. Rising Powers adds not only regular strategies, but now includes Shared Strategies in which teams are working directly against each other on the same objective. Also added are multiple new faction and master specific schemes. The new setup assures that you will have plenty of variety in your games. In addition to the new Strategies and Schemes in the rulebook they’ve set up to add new specific Encounters with a link to a page containing story based encounters. As of this writing the only encounters up are the Christmas Encounters from the Wyrd Chronicles. The other major new rule is that of Henchmen. Henchmen are new units that fall just below a Master. They are each leaders of a Special Forces group. Henchmen are flexible in that they can be used as a regular unit under a Master or they can lead their own crew in a scrap. If used under a Master they allow their Master free access to all of their Special Forces, otherwise Masters are limited in which Special Forces units they may take. Henchmen add a new layer to crew building that allows for some interesting new combinations. Speaking of units, Rising Powers adds tons of new units for all factions. In general, each faction gets at least 1 new master, 1 henchmen and several of it’s related Special Forces units, and several other additional units as well. 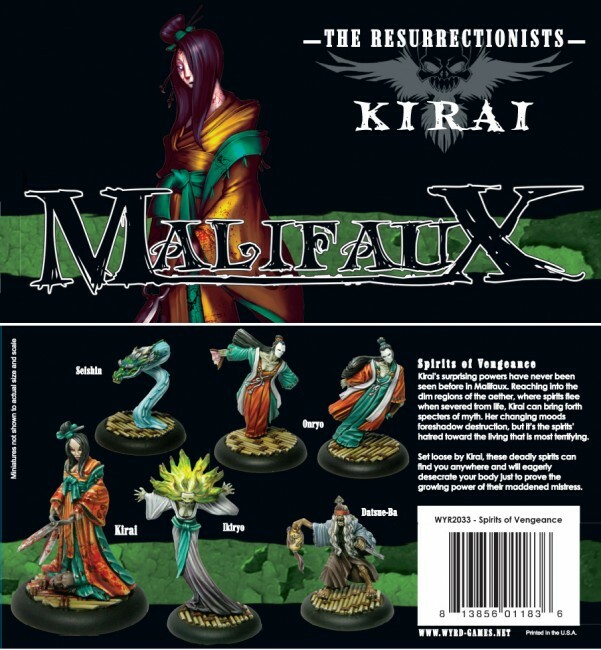 In some places these units fill in small gaps in some of the existing crews, and in other cases they add drastically new playstyles to existing factions (such as the case of Kirai in the Resurrectionists). 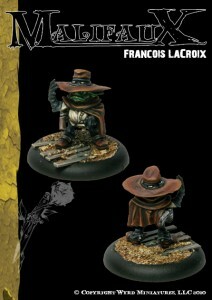 These units also expand on the already large variety of themes in Malifaux. The most obvious new theme is that of Kirai’s crew. Kirai and her new units are themed around asian culture. 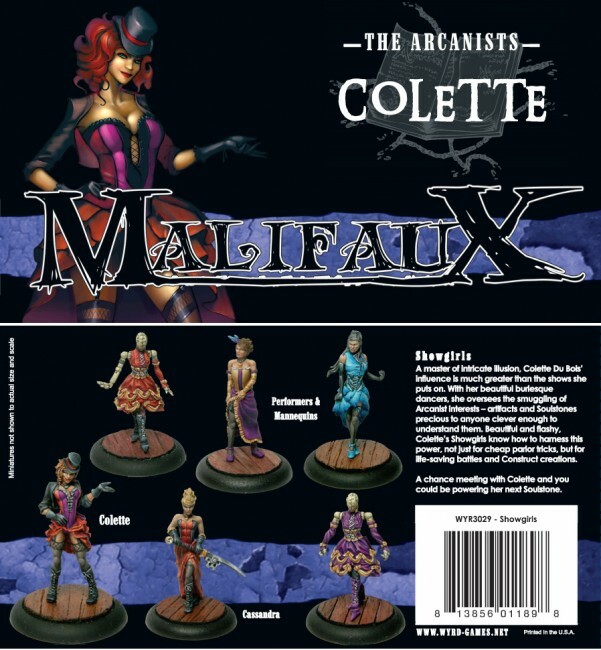 There is also the beautiful Colette and her Showgirls joining the Arcanists. If you are a fan of gremlins then you will love Ophelia and the kin Special Forces. I’ve said it in the past, but the fact that they are able to take so many different styles and themes and mix them all in a way that not only makes sense but is interesting as well amazes me. This of course brings me to the fluff. 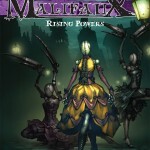 There are a ton of new stories in the world of Malifaux for you to read through. If you are like me and the fluff was one of your favorite things in the first book, then you will not be disappointed with the new stories. I won’t get into specifics, but they’ve paved the way for a lot of new and interesting things to show up. It will be interesting to see where they take the story in the next book, and how current units will be affected. The book is not without it’s flaws. The new Rule of Equivalency, for example, is not as clear as it should be. As with most new books, expect there to be some bits of errata in the near future. Overall, this is a welcome addition to Malifaux. If you are a Malifaux player then you will want to pick this up sooner rather than later. The new units and the new strategies and schemes will add lots of new options and strategy to your games. This entry was posted	on Wednesday, September 1st, 2010 at 10:25 am	and is filed under Reviews. You can follow any responses to this entry through the RSS 2.0 feed. You can leave a response, or trackback from your own site.